We aim to provide quality dental care with a vision to ensure improved quality of life, comfort and confidence for today, and your future. 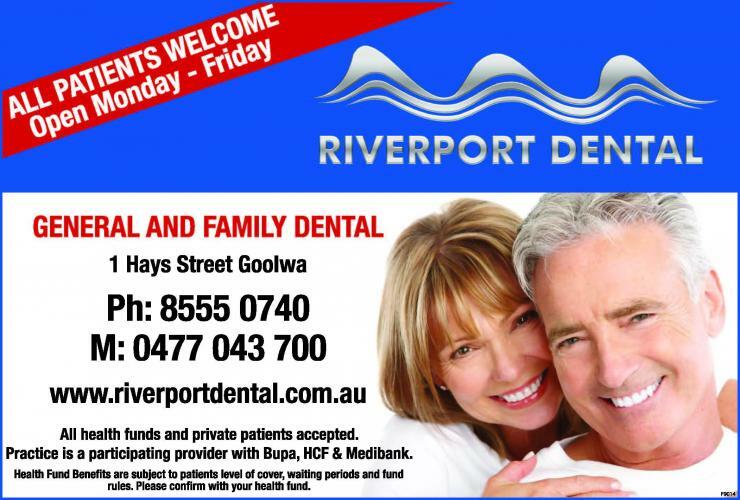 Normanville Dental Surgery and Victor Harbor Dental Surgery offer you patience and care when you need dental work undertaken, no matter how minor or major it is. Dr Alexander Stabolidis prides himself on offering a low-stress dental experience and he and staff offer a quality, professional service covering both treatment and prevention. They can also assist you with your dental prosthetics too. Victor Harbor Dental Surgery and Normanville Dental Surgery offer you patience and care when you need dental work undertaken, no matter how minor or major it is. 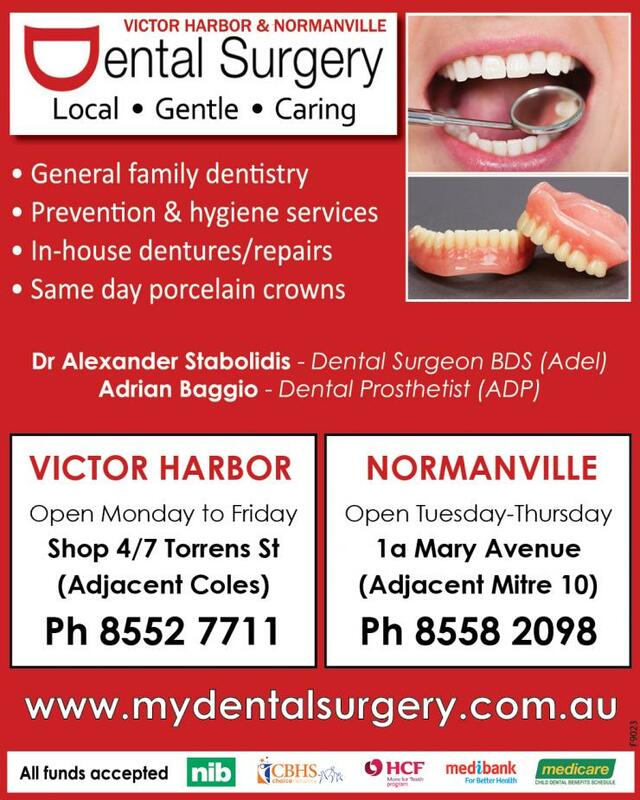 The Victor Harbor Dental Surgery is located in the same complex as Coles in Torrens Street, Victor Harbor. That surgery is open Monday to Thursday and alternate Fridays. To book an appointment phone 8552 7711.